Institute Management Software Solution is very customized and user-friendly software for Institutes or Coaching Centres.
. It has been designed to automate, manage and look after the over-all processing of even very large institutes. This Software is capable of managing Enquiry details, Student Details, Faculty Details, and Payment Details etc. It also provides very helpful report for managing the institutes in easy and accurate way. To overcome the complexity of this environment and to manage its resources with optimal efficiency, Institute management need to have robust and integrated Institute Management System for their day to day operation. 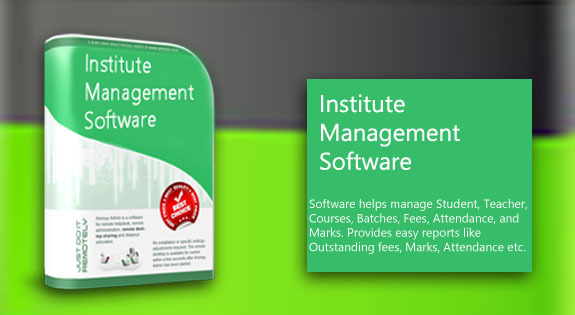 Institute Management System is unparallel and comprehensive Institute Software that covers each and every entity of Institute like students, faculties and management. Our Software is capable of managing Enquiry details, Payment Details, Student Details, Faculty Details, accounts details, Student fees details etc with high efficiency in a very easy and user friendly manner. Institute Management System / Coaching Management System is extremely important online/offline Institute Management System which has many advantages to your Institute. Our Training Institute Management Software is fully loaded with well designed and maintained high end feature which makes it an ideal choice for all the Training Institute, Coaching Center, Tuition Center out there. 1. Manage multiple departments from a single computer. Online Institute Management Software Bhubaneswar,Online Institute Management System Website Designing Company Odisha , Online Institute Management Website Design,Online Institute Management Software Development,Online Institute Management Software Development bhubaneswar,Online Institute Management Softawre Development Company,Web based Institute Management software,Online Institute Management Software Solution,Online Institute Management system web development odisha,Online Institute Management Software India,Online / Offline Institute Management development Bhubaneswar,Online Institute Management Softwares Designing & Development,Online Institute Management Software Company ,Online Institute Management Software Odisha , Online Institute Management Sytem Software Designing Company in Bhubaneswar Odisha India.